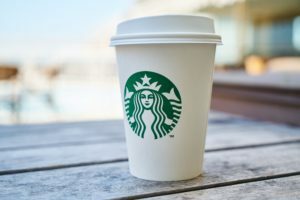 Starbucks coffee shops are one of the most recognizable — and successful — examples of franchise businesses. Talking about franchising means talking covering a range of topic, from first becoming a franchisee to how to exit the business. In my experience being a franchisee for 10 years, subsequently selling that business, being elected as an owner representative for the national marketing fund and becoming an area developer, I’ve filled a variety of roles that have carried with them different responsibilities and given me different viewpoints. Holding all three at the same time meant that keeping my integrity for all stakeholders was a challenge, to say the least, but that integrity is critical for success. Working within a franchise system means networking, finding ways to cooperate and compete effectively with different sectors and with consideration to different models. I’ve also held several roles working with channel partners for technology companies, everything from setting up programs to partner development, and it’s amazing just how many similarities and experiences can be leveraged. 1) Know yourself – Are you an entrepreneur or looking to buy a job? You can accomplish either with franchising, but you’ll need to know what you are looking for first. What are the prerequisite skills you need to maximize potential for success? 2) Research the concept – Do you know why some information, especially negative, may be difficult to find? What are the red flags that should cause you to run? What are the benefits of the franchisee system you are considering? 3) Running a successful operation – Every franchise has rules – what can you do to ensure you are executing to standards? Are you holding the franchiser accountable? What happens if you have a disagreement? 4) Exiting the franchise – Will you need to provide owner financing? What are the pitfalls and ongoing liabilities after transfer? Being a franchisee is not for everyone. In the upcoming series we will provide an insider’s view from the discovery stage onward — including purchasing, operating and finally, exiting the system. On the surface, it may seem fairly straightforward. On the inside, however, the franchiser has the power of knowledge and you will be at a disadvantage. This is not saying the franchiser is bad – it’s just a fact. They know more about all areas involved in actually running the business — including your chance of success — based on information across the system. In this series, we will attempt to level the playing field by sharing insider knowledge many systems do not want you to know about. Tell me about your franchise experiences or ask questions for consideration in this series. Small business – get the inside scoop on franchise systems!